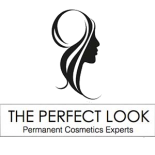 As your technician Julie has had each of these procedures performed on her own face. Her permanent makeup is 21 yrs old. You are welcome to come see in person to help you decide. $500 (lasts 6 mo-1 yr) Powder, hairstroke, or combination available. Includes one touch up appointment in less than 3 months. $700 (will last 5-10 yrs) Tinted Chapstick effect, Full Lipstick, or Lipliner with Shade Fill In available. Includes one touch up appointment under 6 months. $550 (will last 3-5 yrs) Natural or fully made up available. Includes one touch up appointment under 6 months. $700 (Will last 5-15 yrs) Natural, Shaded, or fully. Made up including Cat Eye. $300-$800 for each appointment. Usually 2-4 treatments are necessary spaced 6-8 weeks apart. $1800-$3000 Includes one touch up appointment under 3 months.